Most of us know what chalk paint is, but what about milk paint? This new product from Rust-Oleum provides you with a subtle matte color, with a brushed (variegated) effect. For more opaqueness and less brush strokes, simple apply more coats. 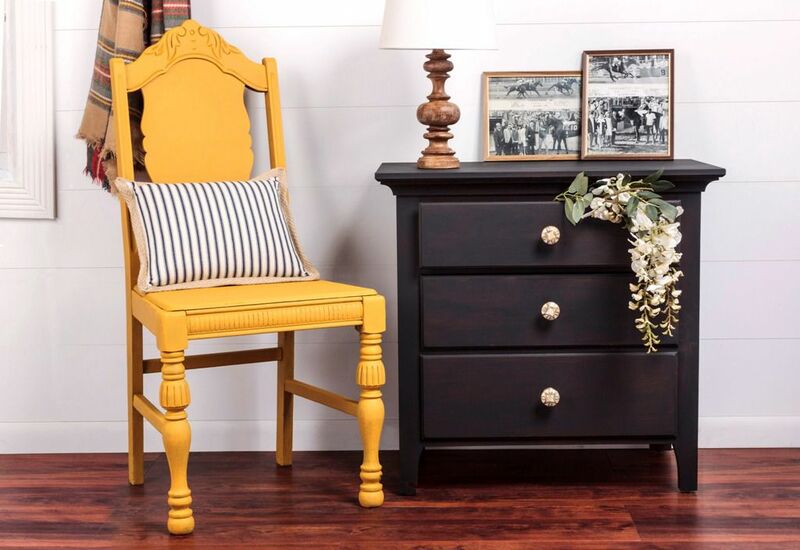 It is quite the nice look and it a great way to bring a new life to an old piece of furniture. Rust-Oleum Milk Paint will not chip and adheres will to many surfaces, including wood (raw, painted, or varnished), metal, aluminum, and glass. When finished, the paint will highlight the original details of the furniture, providing it with an antique look and light texture. Available in different colors - stop by our Paint department for the full assortment of in-stock color options.